Identifying visitors is half the battle in a Visitor Management program. Helping visitors stand out is key to ensuring that they're properly monitored and tracked. 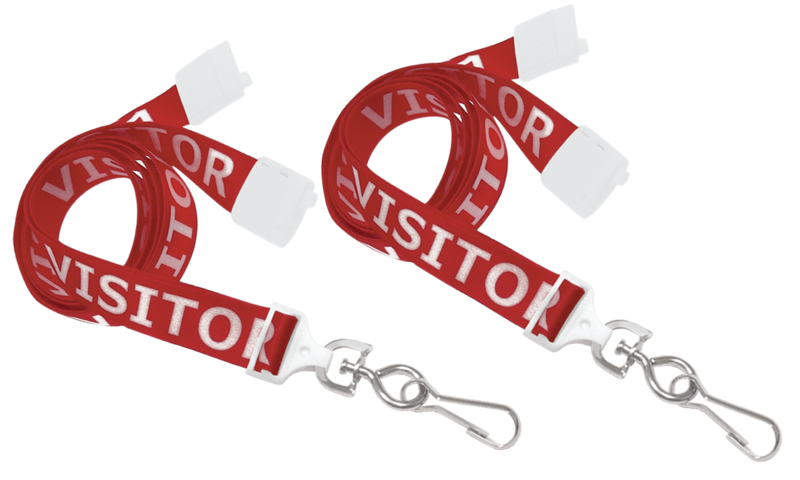 Made of polyester, these 16mm wide lanyards make it clear that the wearer is a guest. Includes a breakaway tab. Lanyard material: 16mm flat satin-like polyester. Pre-printed title makes these lanyards perfect for guest management! These lanyards feature a safety break-away tab that will easily open to eliminate the risk of choking.